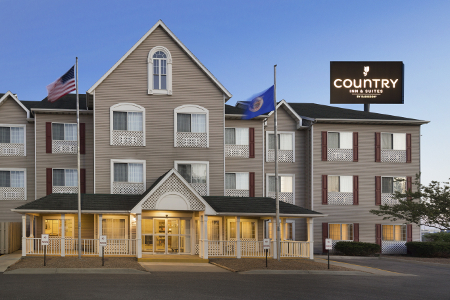 Located off I-35, the Country Inn & Suites® by Radisson, Owatonna, MN provides a convenient home base for exploring the great outdoors and for commuting to the Twin Cities. 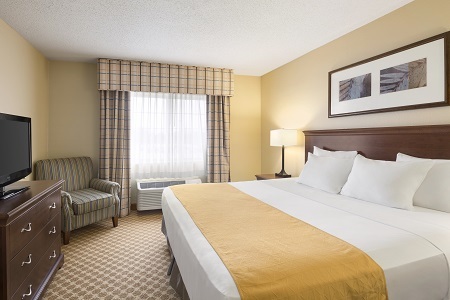 Enjoy easy access to the Owatonna Hospital as well as area attractions like Cabela's, the Reptile & Amphibian Discovery (RAD) Zoo and Medford Outlet Center. Set aside some time to discover the area’s natural beauty at spots like Rice Lake State Park, or take the kids to splash at River Springs Water Park. 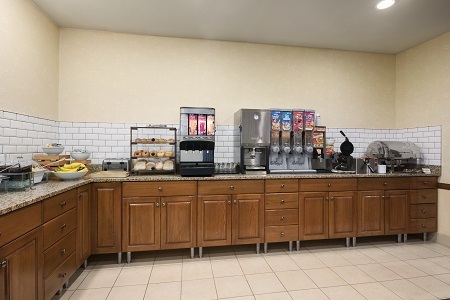 Gear up for a busy day of business meetings or the final leg of your Twin Cities road trip with a visit to our free, hot breakfast. Dig into enticing items like Belgian waffles, muffins, hot oatmeal, fresh fruit and more. When you have worked up an appetite for lunch or dinner, head to nearby restaurants like Torey’s Restaurant & Bar, Mizuki Fusion and Plaza Morena Campestre Grill. Cabela’s – The wonders of outdoor adventure come to life inside the 150,000-square-foot retail showroom at Cabela’s. Just an eight-minute drive up I-35, this retailer also offers a Fudge & Nut Shop if you want to pick up a sweet souvenir. RAD Zoo – You’re just a six-minute drive from checking out exotic reptiles and amphibians at this special zoo. Keep an eye out for Justin Bieber’s former pet albino boa constrictor, Johnson. Kaplan’s Woods Parkway – Explore over six miles of hiking and cross-country skiing trails at this 225-acre park, a four-minute drive away. You can also rent a canoe and float along the park’s Lake Kohlmier. Our conveniently located hotel is the ideal venue for business meetings and wedding rehearsal dinners with up to 25 people. 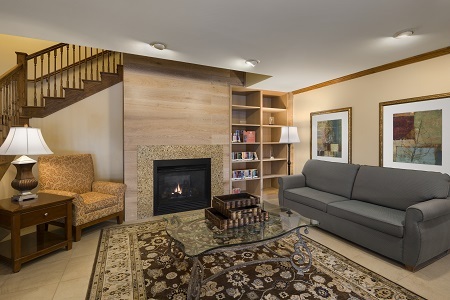 Take advantage of amenities like a personalized event Web page and catering suggestions from our knowledgeable staff to make your get-together even more memorable.